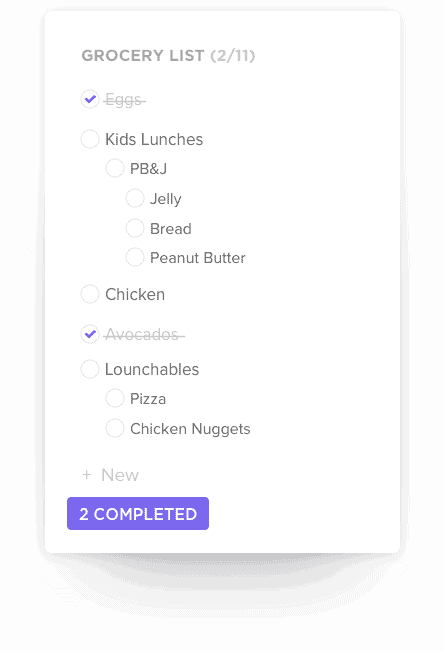 Beautifully nested checklists allow you to organize your to-do's like never before. 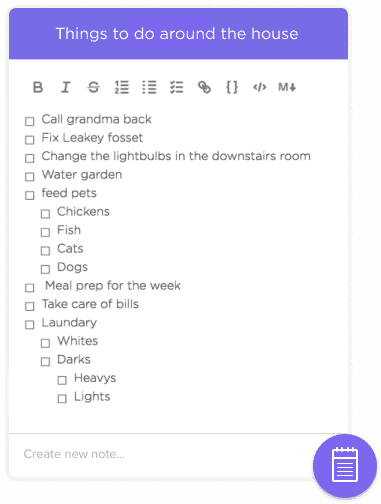 To-do’s are nestable, meaning a list item can contain "sub-items"
Organize to-do lists with the ease of drag and drop! 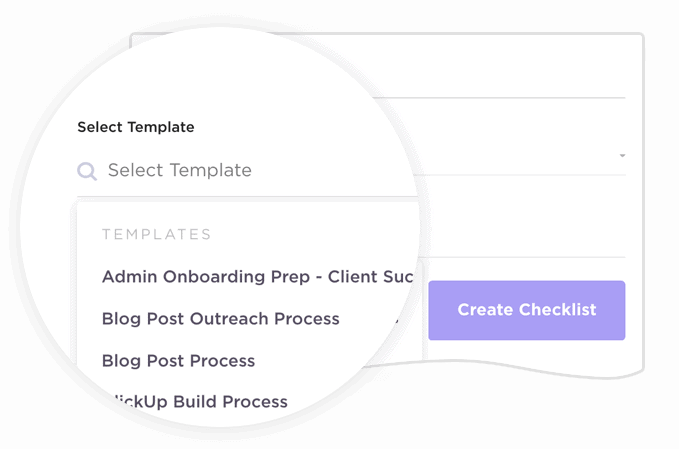 Manage your processes with checklist templates! 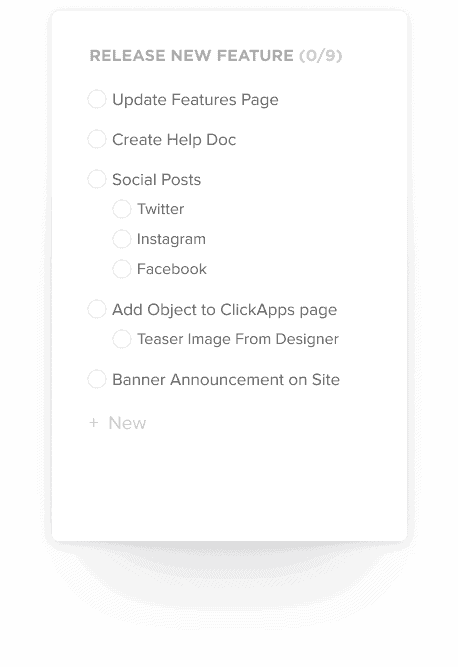 Quickly create and re-use these to start knocking out tasks even more efficiently. 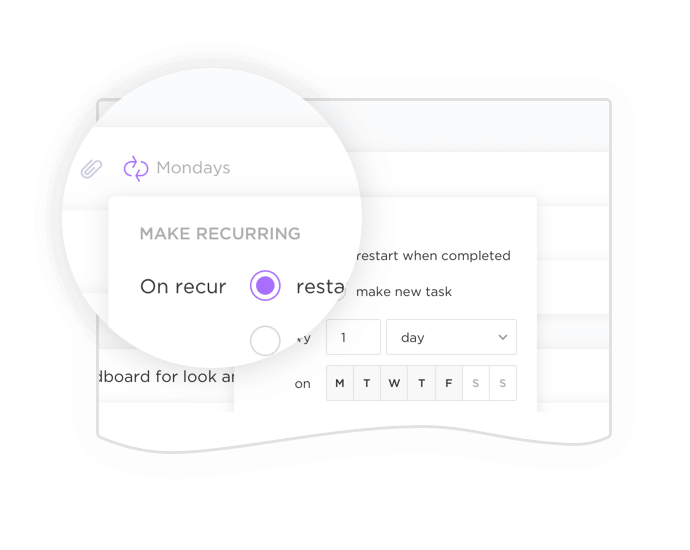 Create recurring checklists that repeat on any schedule you like. You’ll never forget again. 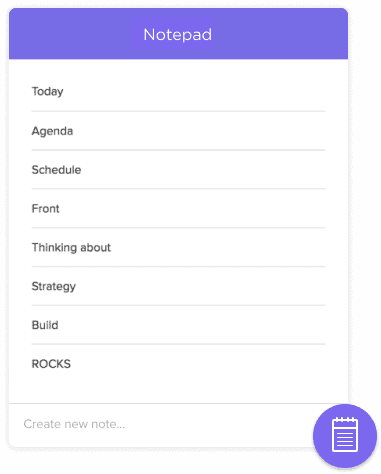 Need an easy tool for planning out your day? 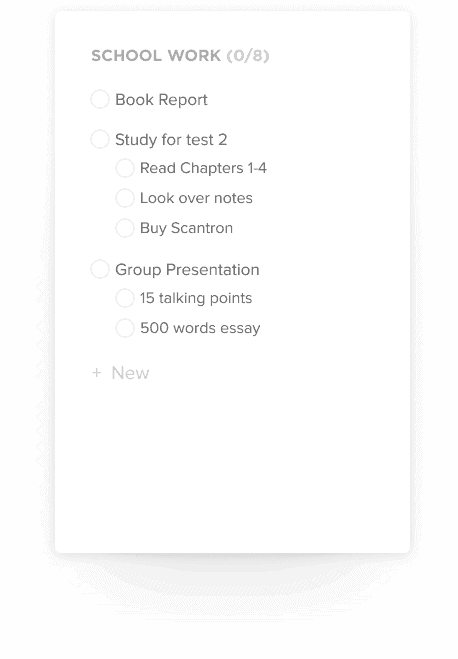 Record a daily agenda with the Notepad. 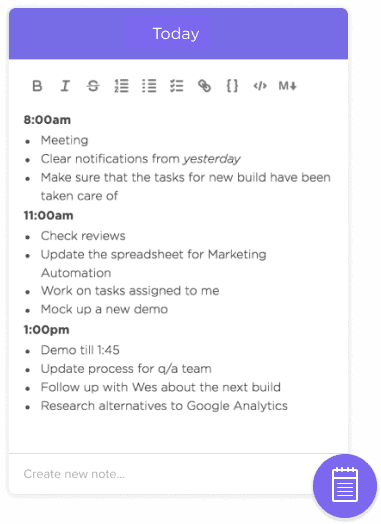 Create an easy-to-edit schedule for your busy workday. What do you need to do? 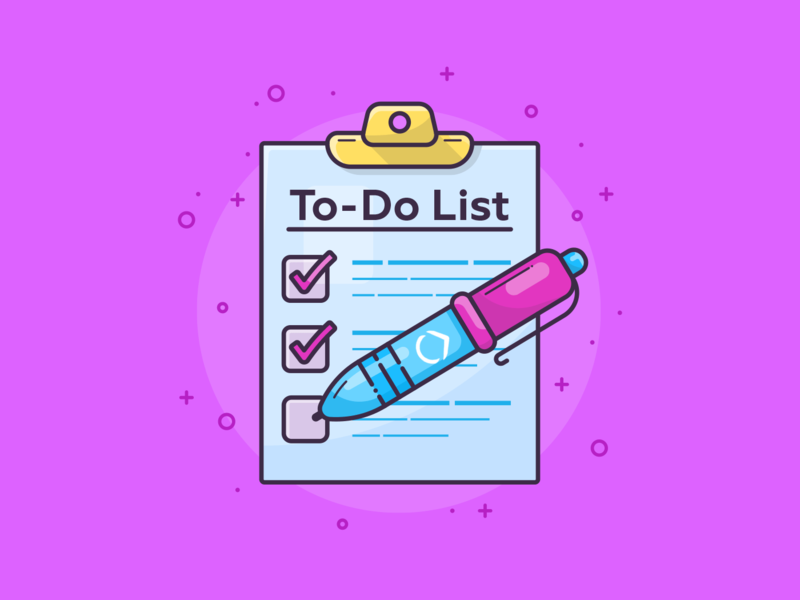 List your chores and reminders. You can even created nested checklists within a single checklist item! 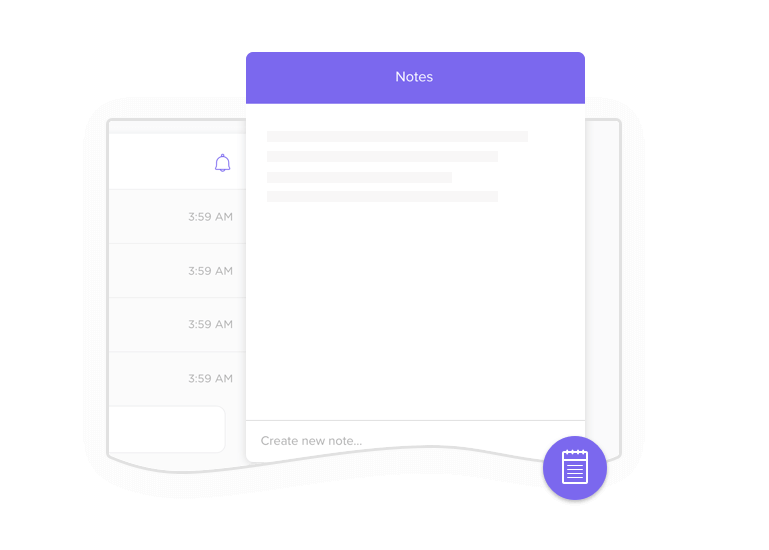 Your own personal note taking machine where you can add ideas, create lists, and organize your day. 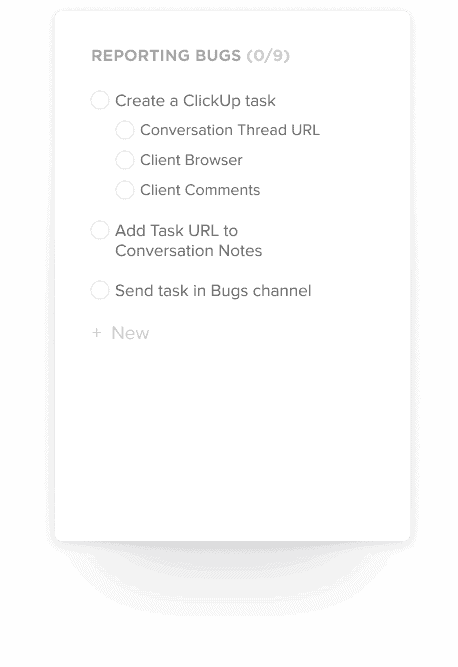 Make multiple note threads to keep track of everything in your life. 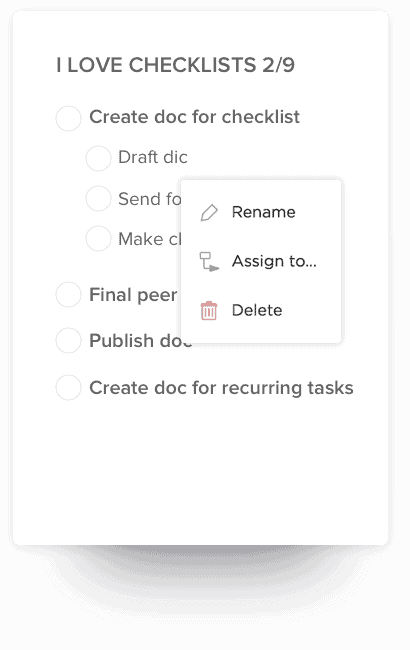 Using simple to do lists within ClickUp brings a clear outline to your tasks in the app by letting you instruct an assignee on how to complete the task at hand. 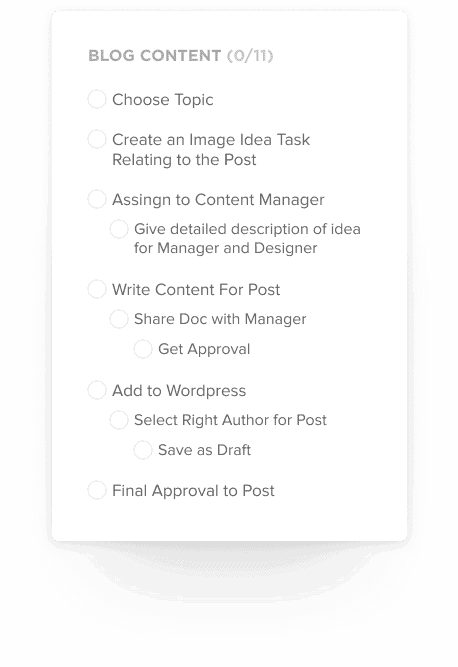 Adding a checklist to a task allows team members to spend more time focusing on the creative aspect of tasks as well as celebrate the small wins! 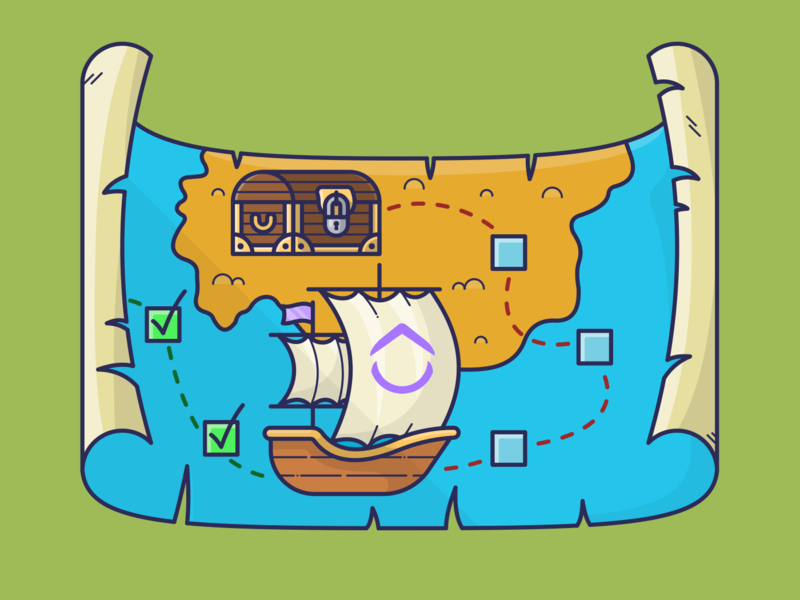 Spend time focusing on the creative aspect of tasks as well as celebrate the small wins! 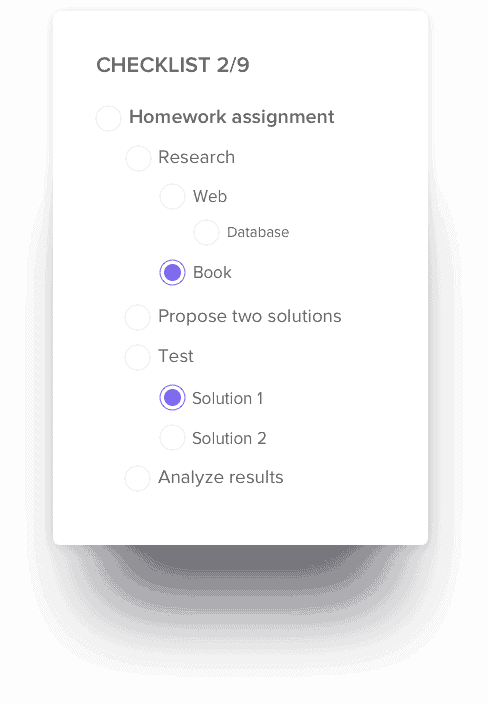 Easily navigate through your personal tasks with a simple click! Try the free online notepad! Ok, I see why this would be valuable, and I know how to create them - but how are they actually used?